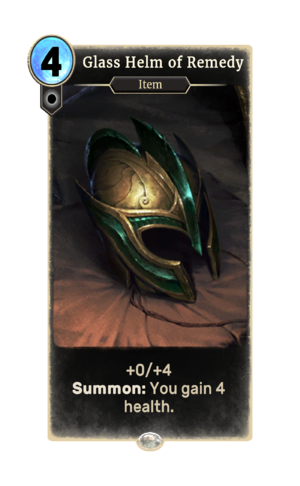 Glass Helm of Remedy is a common Neutral item card. It is part of the Heroes of Skyrim expansion. The card depicts a glass helmet of Skyrim.